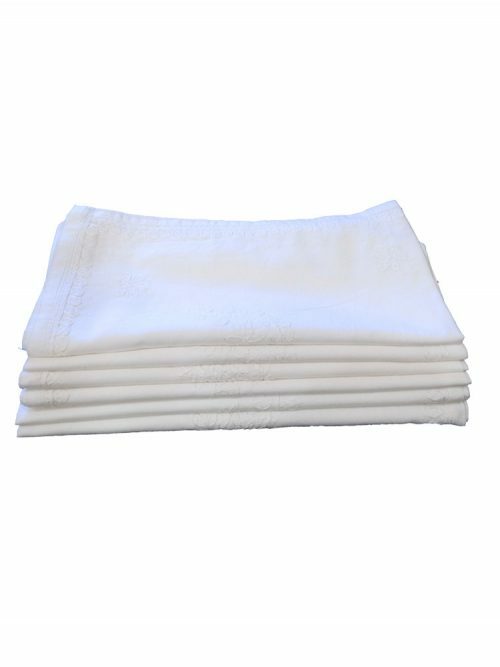 Set of 6 Embroidered White napkins. The Cikan Embroidery is traditional to Lucknow, India. Many families have continued to embroider White Cotton with white thread for many centuries. The fabric is stenciled with the pattern, and sent to mostly women in rural areas to be hand embroidered. The fabric is then washed and sometimes bleached, before the final product is hemmed. Each napkin measures 50cm x 50cm.